So you have fame, fortune, notoriety, you mix with the beautiful people and want for nothing. Time to become poker celebrities! A poker celebrity is a ten-a-penny commodity nowadays, lapping up poker endorsements and cashing in to be cool. But once a real poker celebrity earn't their poker spurs the hard way, with a big bankroll and a devil may care attitude. We feature THAT poker celebrity, when poker was grubby not gucci. "And that, I think, is a key secret to every person's success, be they male or female, banker or po***grapher. Trust in your gut." 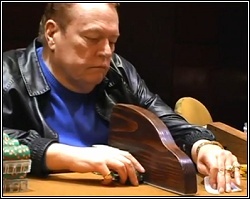 Larry Flynt is a genuine poker "whale", a notorious high roller even more famous as the the president of LFP and publisher of Hustler magazine. 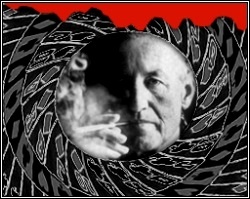 Flynt won and lost millions of dollars in the Seventies playing legendary poker pros like Amarillo Slim. His poker of choice is Seven Card Stud and he placed 8th at the WSOP in 2000. In that year Flynt opened the Hustler Casino in Las Vegas and today regularly plays a high stakes cash game with modern day pros like Phil Ivey. "You can win or lose a quarter of a million a night very easily". "I am not a good poker player. I drink and smoke and enjoy the game too much. You shouldn't do any of these things if you want to win at poker. Poker is a cold-hearted, deadly game that breaks and bankrupts men"
Prior to his death in 1964 the James Bond author infamously wrote the foreward to one of the greatest poker books in history - Yardley's Education of a Poker Player. Unfortunately for Fleming, his real poker game was more Chitty Chitty Bang Bang than double o-seven. The ultimate poker celebrity. In 1876 James Butler Hickock attained notoriety by being murdered at the poker table holding the "dead mans hand" - black Aces and Eights. Dying, never a great strategy for winning at the poker table. At the time newspaper Black Hills Pioneer wrote that gunman "Crooked Nose" John McCall exclaimed, "darn you, take that," as he shot Wild Bill in the back of the head causing instant death." McCall has played poker with Hickok on at least two occasions and was trying to create a name for himself as a gunfighter. 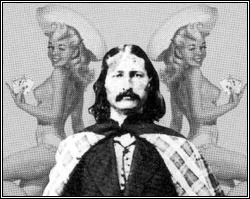 In actuality Hickok was a veteran of poker disputes, at least on one occasion killing a player. In 1869 Jame "Dog" Kennedy's mistake was to suggest Hickok played a "bad fast game". He paid with his life in a six gun shoot out. Wild Bill was buried with his rifles on August 3, 1876. Poker celebrity ... the hard way. Real poker is a great leveller. A single pack of cards, a handful of clay disks and your wits. Rich or poor, famous or anonymous, genius or dunderhead, when the flop comes down we all have a chance of poker celebrity!